A lot of businesses rely on Real Estate Agents. In order to keep their referrals coming in, many loan officers and mortgage brokers turn to agents. There is only one problem. It is normally a one sided deal. On today’s podcast we explain why loan companies are missing the mark with agents. How loan officers miss the point with agents. What a brokerage actually does. Why focusing on the agent’s business is more effective. 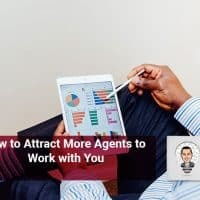 The 3 steps to attracting and retaining an agent. The 6 problems that brokers should fix. The changes in the market that every agent needs to adjust too. Real estate is a fast growing business and everyone in the housing market needs to keep up. A good agent is worth the time and energy that is put into the relationship. Build a relationship with your agent or your loan officer and you’ll see a big change in the referral numbers and business in general. To read the blog post that inspired today’s episode click here. To learn more about Mike and his approach to real estate go to Real Estate Marketing Dude. no problemo you got it! Thanks for visiting me! Well Said Mr.Mike Cuevas. Thanks for the Post.